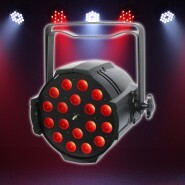 High power COB LED PAR can Powered by 6 x 30W 3-in-1 RGB COB LEDs Automatic colour jump, colour scroll and colour strobe ..
Wireless Remote Foot Controller & 2 Year Warranty ! 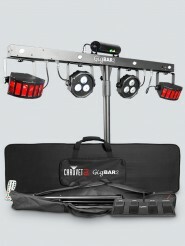 GigBAR 2 is the ultimate pack-n-go 4-in-1 lighting system including UV in its wash lights and strobes for better color mixing and ..
SlimPAR T12 USB is a high output tri-color (RBG) LED wash light with built-in D-FI USB compatibility to allow instant wireless con..
SlimPAR Pro Q USB is a high-powered quad-color (RGBA), low-profile washlight with D-Fi USB compatibility for wireless control. 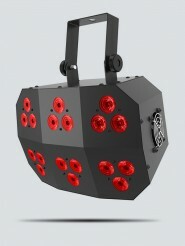 Dyn.. 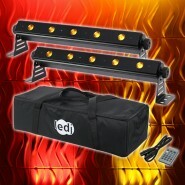 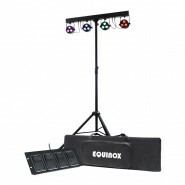 Designed to be an all-in-one lighting package, the Equinox Microbar Quad System includes a robust, heavy duty stand, heavy duty ro..
Super bright colour wash uplighting and effects with extended mounting bracket 132 x 0.2w high power RGB tri-LEDs Strobe e..
PAR56 HIGH POWER 3-in-1 LED PLASTIC PAR CAN A lightweight and compact LED PAR Can fitted with 18 3-in-1 RGB LEDs. 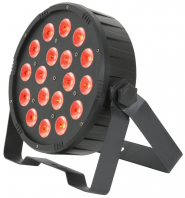 This unit c..
18 x 3W tri-colour LEDs (RGB) Beam angle: 40° 7.8kHz refresh rate DMX channels: 1/3/4/5 or 6 selectable Static colour, .. 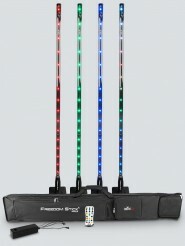 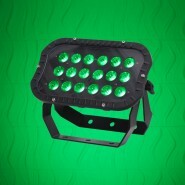 The Q batten pack features 2 compact, slim battens, an IR remote and a DMX cable, all housed in a padded road bag. 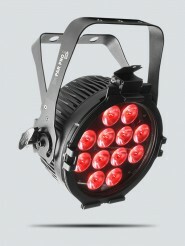 Ideal for uplig.. 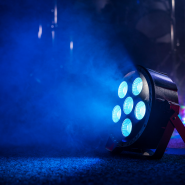 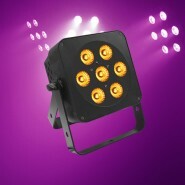 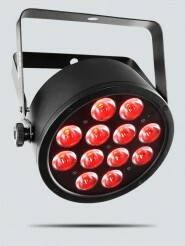 The Performer Quad features 18 x 8W quad-colour LEDs and a spectacular 25°-75° zoom feature creating a wide wash or focu.. 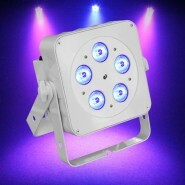 Complete and affordable spot and effect lighting solution fitted with high-intensity quad-color (RGBW) LEDs • Achieve total room .. 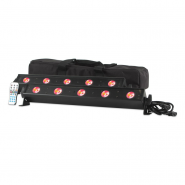 The ADJ VBar Pak is a compact, low profile LED Linear fixture kit with two VBAR LED Bars, a soft case gig bag and an IR wireless r.. 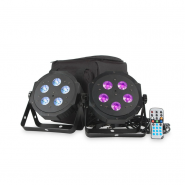 The ADJ VPar Pak is a compact, low profile LED Par kit with two VPAR LED Pars, a soft case gig bag and an IR wireless remote. 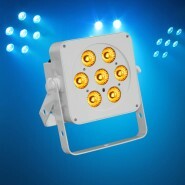 The ..
Housing 7 Quad (RGBA) 5W LEDs and featuring amber LEDs, the Slimline 7Q5 produces a wide spectrum of smooth colours from..
Housing 5 Quad (RGBW) 5W LEDs, the Slimline 5Q5 give smooth colour mixing from rich saturated hues to subtle pastel shades. 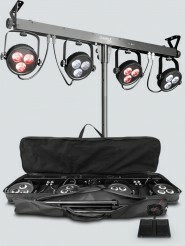 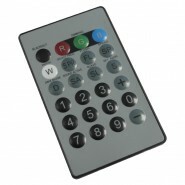 T..
Black Out Programme select: Access to pre-set programmes Flash: Active strobe function DMX mode: Select different DMX..